While looking through this months issue of Scrapbooks etc. I found an awesome sketch that I just had to try out. I love the outcome :) I don't usually scrap with such bright colors, but since the pictures were virtually colorless, I figured, why not? I love using SU! 's Simply Scrappin' kits! 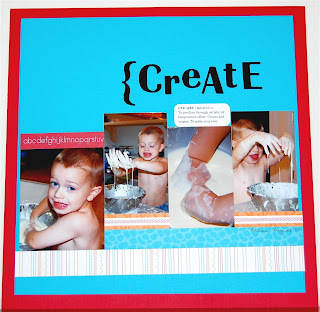 It allowed me to complete this layout in a jiffy!! Ethan is playing with gloop, lots of fun, funky and a big mess. Next time we'll be doing this outdoors. PTI is sponsoring the sketch again at CPS. I decided to play along again. I REALLY want to get my hands on some new stamps!!!!!!! TFL. I have been getting lots of inspiration lately from sketch challenges. 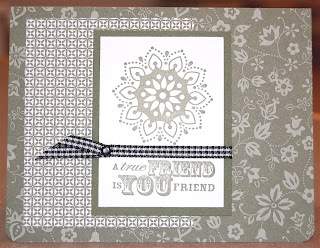 Here's is my latest that I did for the splitcoaststampers sketch challenge 177. It's Ethan's first day of Preschool, he looks so excited, doesn't he? Who would have though he screamed for the first two weeks of school? Certainly not me!! I'm desperate to win one of these fun challenges that have been going on at PTI. 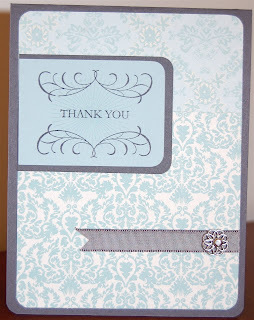 This one was to use one of Dawn McVey's color combinations. I visit her blog every morning for inspiration. 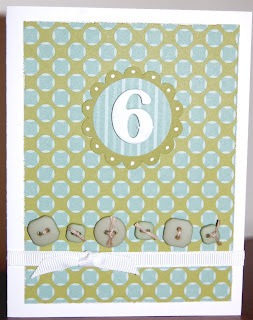 I cased one of the cards she made for the upcoming release of her new stamp set. I hope Conner likes it!!! Woo-hoo!! Another challenge. I am on a roll. 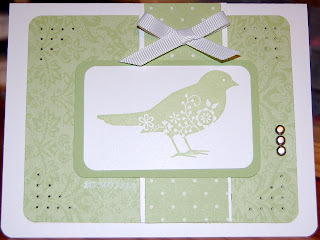 I made this one for the card positioning systems sketch challenge. It was super easy, just some scraps and rub-ons. I'll be slipping this into my hubby's briefcase on Friday. Happy Valentine's Day!!! I haven't posted forever, but wanted to play along with the PTI challenge. Lots of fun things are going on there everyday. It's the first blog I hop to every morning!! I'm sick as a dog, definitely not my best work. 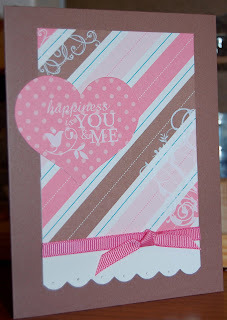 But wouldn't the bitty dots ribbon work perfectly with this card ?